In this post I’ll be walking you through creating an AWS Lambda serverless app that connects to MongoDB Atlas as its data layer. MongoDB Atlas pairs well with AWS Lambda because you get 500 MB of storage for free from a service just as reliable and easy to set up as AWS Lambda itself. This is a generous amount of space for prototyping provided you keep large binary data out of the database, using an object storage service like Amazon S3 instead. 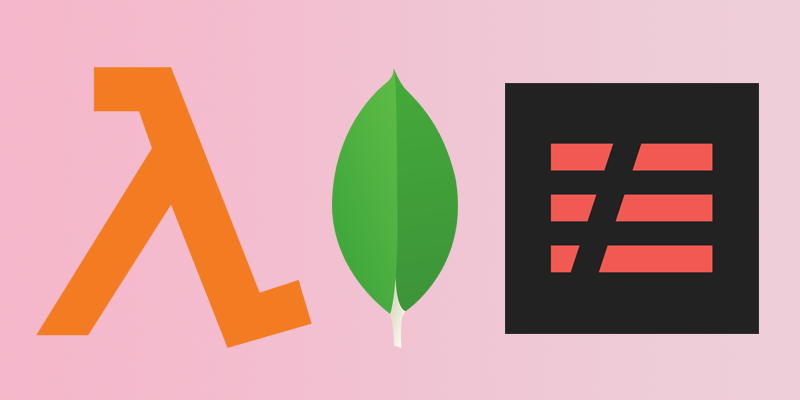 If you want to create a Node.js app using MongoDB as its data layer, MongoDB Atlas is like the “AWS Lambda” of the MongoDB world. It’s completely managed for you. You create a cluster (where you get a 500 MB storage cluster in AWS’s us-east-1 region for free) and you receive connection credentials from them that you can use in your app. First, create a MongoDB Atlas account or log in to your existing account. Then, create a cluster and give it an appropriate name for the app you’ll create, for example “sls-mongo-example”. Choose the default settings for location (since AWS Lambda on the Serverless Framework will default to the same location) and cluster size, since the default size will stick within the free tier. The IP 0.0.0.0/0 was whitelisted so that connections can be made from anywhere. This will allow you to connect a program like RoboMongo from your work machine to debug your application, and it allows AWS Lambda to connect in production. The autogenerated password was taken note of, so that you can fill in the connection string later when you connect to your MongoDB database from your AWS Lambda application. You create a user with read and write privileges for the database but not administrative privileges. This is a best practice. You want to minimize the blast radius of any security breach in your application. At least they won’t be able to hijack your MongoDB account! You now need to run the npm install mongodb command to install the MongoDB client NPM module so that the function can use it. To make this example app more interesting, random pets will be generated, inserted into MongoDB, and returned in the response. Run the npm install faker command to add the library used to generate fake pet names. // Cold start or connection timed out. Create new connection. // Connection ready. Perform insert and return result. The createConn function is to exploit a way AWS Lambda works that allows you to keep a MongoDB TCP connection open for subsequent requests instead of every HTTP request having to create a fresh connection which would then be immediately closed. The client variable and db variables are declared outside of the handler code, so they are kept around as long as the Lambda function is kept warm. It will only create a new connection for a “cold start”. The completed code for this tutorial can be found in the welkie/serverless-managed-db-examples GitHub repository in the aws-lambda-mongodb-atlas directory. Because this pattern extends to all managed database products, other examples with different combinations of FaaS products and databases are possible. 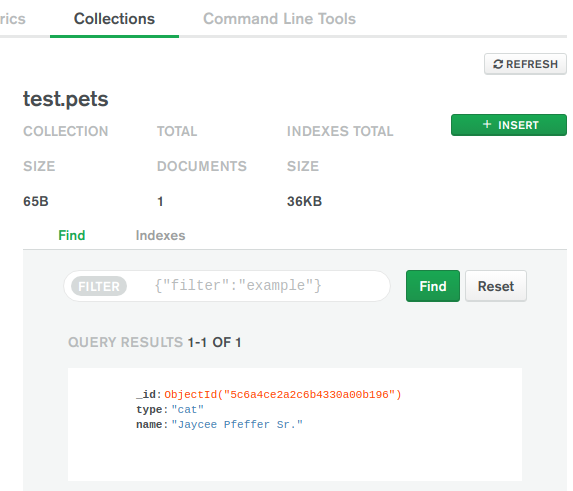 For example, another option for a managed document database would be connecting to Elasticsearch Service from Elastic Cloud. 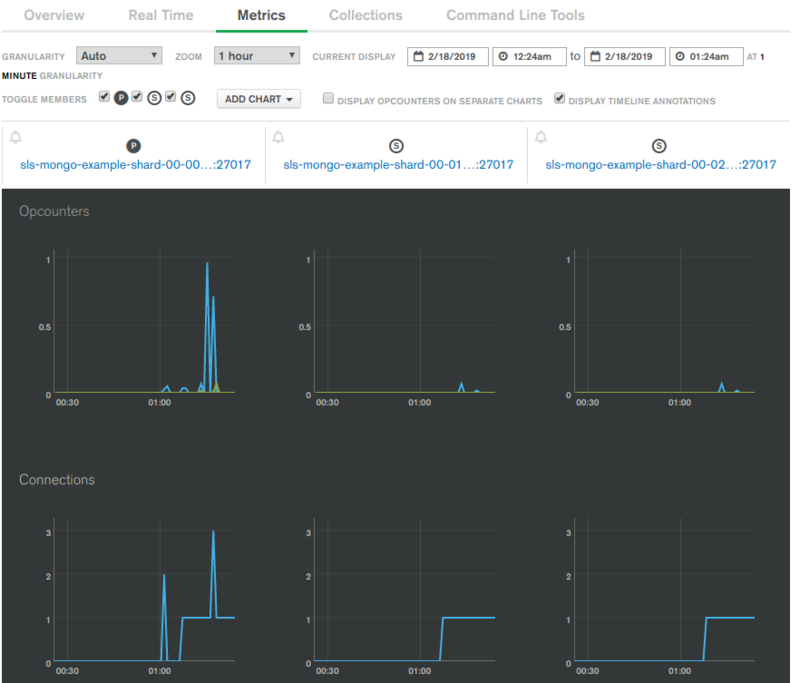 You can also get a managed Elasticsearch service from Aiven. I don’t endorse these providers, I’m just aware of them. To delete all the AWS resources created during the tutorial, run the serverless remove command. To delete the MongoDB Atlas resources, visit the MongoDB Atlas dashboard in your web browser and delete the cluster you created.